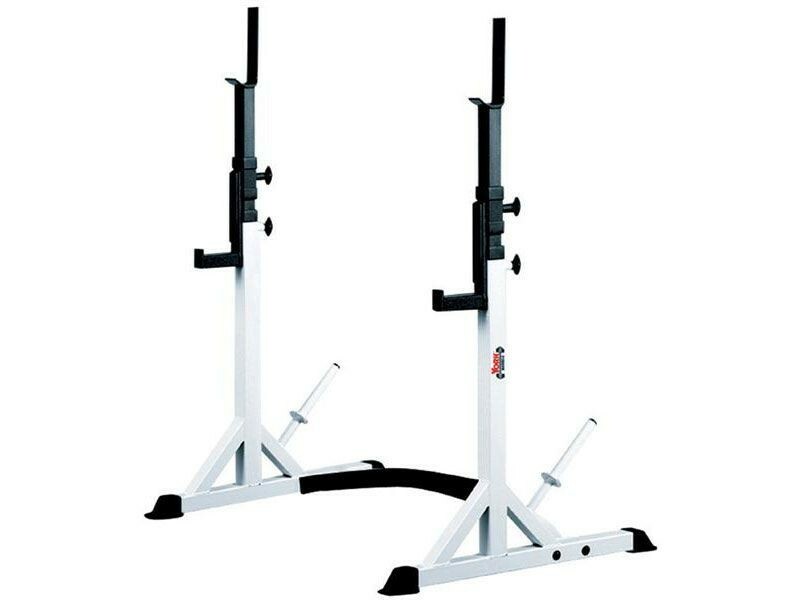 This squat and bench press rack by York is extremely stable. It's only 102 lbs assembled, but the bottom frame extends pretty far back to keep the rack from tipping when you re-rack the weight. York didn't give us a weight limit on this, but the feedback we received is you can rack 400+ lbs on this safely. If you feel like you need additional stability for those higher weights, drop a pair of 45lb plates on the rear pegs. 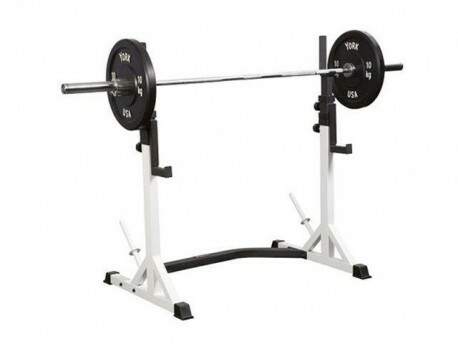 For doing squats we like this York squat rack better than the comparably designed Powerline squat rack, because the rear crossbrace is far back enough to be more out of the way of your feet, but because in York's case the rear crossbrace is right against the floor it can be more likely to get in the way of the rear feet of your bench if you're using it for bench presses. 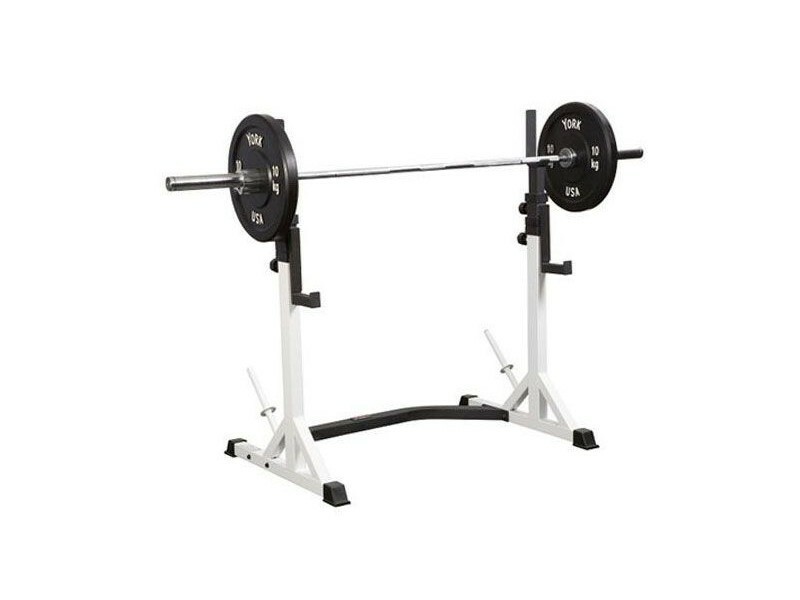 If you need to potentially move it around your gym often to get it out of the way, this rack is pretty light and easy to drag around or a piece of cake for two people to pick up and carry. 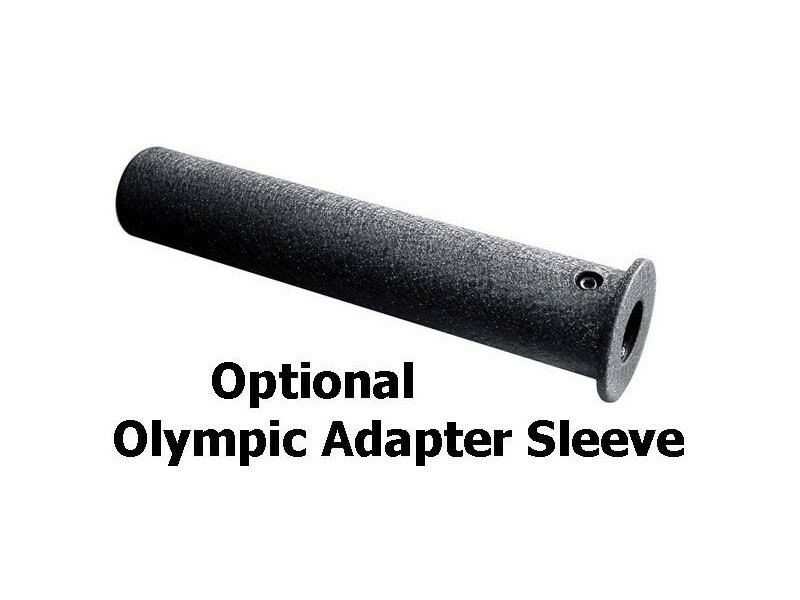 This is best for a home/garage gym. See one of our York STS racks if it's a commercial environment.